Dr Miros graduated from The University of Queensland with First Class Honours in 1982 and did his physician training at the Princess Alexandra Hospital becoming a gastroenterologist and physician in 1990. Following this, he worked overseas at The Kings Hospital, London working in the Liver Transplant Unit. 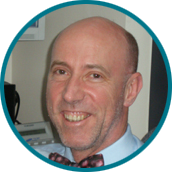 Currently Dr Miros’s main research interests are Barrett’s oesophagus with the use of magnification upper endoscopy to detect early dysplasia and screening colonoscopies to prevent colorectal cancer. He has been instrumental in the development of using Indigo carmine (blue dye) spraying of the colon using a specialised technique to improve the detection of colorectal polyps. Dr Miros visits at the Southside Endoscopy Centre, Brisbane Endoscopy Services in the McCullough Centre and Chermside Day Hospital, Chermside. He currently performs upper endoscopy magnification upper endoscopy, colonoscopy, polypectomy and the use of chromoendoscopy and Given Enteroscopy Capsule Studies to detect small bowel pathology. Special Interests: Barrett’s oesophagus, gastric intestinal metaplasia, polyp surveillance, capsule endoscopy advanced polypectomy techniques.